Dr Fitzpatrick completed his Bachelor of Dental Science at the University of Queensland in 1976 graduating with Honours. He commenced practice at BOH Dental in 1977 and after two years in general dental practice, undertook further training in the Specialty field of Prosthodontics. This post-graduate training was completed at the University of Queensland in 1983. He was admitted by examination as a Fellow of the Royal Australasian College of Dental Surgeons in 1985 and registered as a Dental Specialist in Prosthodontics in 1987. Between 1983 and 1987, Dr Fitzpatrick undertook further specialty training in the emerging field of implant dentistry studying at the University of Washington, Seattle and the University of Gothenburg, Sweden. He was awarded Fellowship of the Pierre Fauchard Academy in 2000 and the International College of Dentists in 2011. 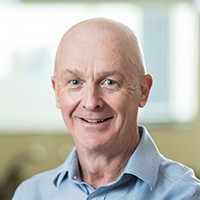 Dr Fitzpatrick maintains active membership of the Australian Dental Association, as well as numerous National and International Prosthodontic Societies and Academies. Dr Fitzpatrick was admitted, in New York in 2007, as the first Australian Fellow of the prestigious Academy of Prosthodontics. 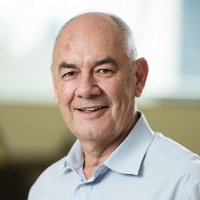 He has maintained part-time teaching and continuing professional education responsibilities at the University of Queensland and the University of Sydney for more than 20 years. He is actively involved in post-graduate education, mentoring and examining in Australia. He has conducted numerous training courses in the past 25 years in various aspects of clinical, implant and evidence based dentistry. He has delivered a considerable number of invited scholarly presentations at Regional, National and International meetings, and has authored several scientific papers published in international referred journals. Dr Fitzpatrick is a Past-President and Honorary Life Member of the Australian Prosthodontic Society, Past-President of the International College of Prosthodontists, and has served on several boards in leadership and advisory positions. Dr Fitzpatrick has held senior executive administrative positions in several international Prosthodontic organizations. He is a reviewer for the International Journal of Prosthodontics, International Journal of Implant Dentistry and the Australian Dental Journal and maintains a full-time specialist Prosthodontic practice. Dr Fitzpatrick is married with four adult children and has twelve grandchildren. He is a keen sportsman who actively participates in golf, tennis and hiking, and also enjoys gardening and growing orchids. Dr Ashton graduated from the University of Queensland in 1976 with a Bachelor of Dental Science. After graduating he practised in Melbourne for several years, before moving to London to complete a Master’s degree in Prosthodontics at the Eastman Dental Hospital, a post-graduate dental teaching hospital attached to London University. Dr Ashton continued to work in the UK until he was offered a position with BOH Dental Clinic Brisbane in 1980. Dr Ashton enjoys furthering his interests in general dentistry, prosthodontics and dental implants. 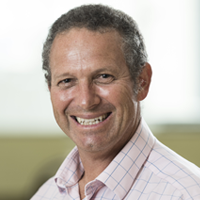 During his years in Brisbane, David has had a long association with the University of Queensland Dental School. He is a member of the Australian Prosthodontic Society, and various international dental associations and study groups. Since graduation, David has been an active member of the Australian Dental Association. He was awarded the Australian Dental Association Service Medallion for his contribution as part of the organizing committee for the 2011 Australian Dental Association Congress in Brisbane. He was the dentist to the World Cup Rugby Teams for the Brisbane games, and the on-field dentist for the Queensland Reds and Australian Wallabies whilst in Brisbane. One of his professional partners, Dr Stuart Garraway, still maintains this position. Together with Studio 12 Dental Design, Dr Ashton maintains an interest in sports mouthguard construction. David has an active interest in sleep medicine and makes many appliances for people who cannot tolerate CPAP or are considering a device to stop snoring. Dr Ashton is married with three adult children. His spare time sees him indulging in his interests of fishing, cooking and gardening. Dr Elliott graduated in 1983 with a Bachelor of Dental Science degree with Honours from the University of Queensland Dental School. In mid 1984, he joined BOH Dental and worked in private practice for three years before moving to Milwaukee, Wisconsin in the USA to complete a Masters Degree in Prosthodontics at Marquette University School of Dentistry. 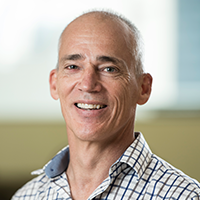 Dr Elliott returned to Brisbane in 1990 and held a position of Clinical Registrar at the University of Queensland Dental School before returning to private practice at BOH Dental upon the retirement of Dr Keith Brain. Dr Elliott has continued to have a close working relationship with the University of Queensland Dental School. Dr Elliott is a registered specialist in Prosthodontics with the AHPRA, and maintains membership of the Australian Dental Association, the Australian and New Zealand Academy of Prosthodontics, The Australian Prosthodontic Society, The International College of Prosthodontics, and the Academy of Osseointegration. Dr Elliott enjoys the pursuit of new and challenging evidence based treatment modalities in an effort to deliver the most up-to-date care to his patients. His particular fields of interest are the use of Biomimetic principles to restore natural beauty, function and strength to patients dentitions and both the surgical and prosthetic phases of implant dentistry. Dr Elliott provides fixed, removable and implant prosthetic services to people of all age groups. Dr Elliott and his wife Gabrielle have three children and like most families, he and Gabrielle enjoy busy lives away from their professional commitments, pursuing their own interests and supporting those of their active children. Dr Greer graduated from the University of Queensland with a Bachelor of Dental Science (Honours) in 1976, and a Master of Dental Science in 1982. He has experience in general private practice, government and the armed services. Dr Greer has held academic positions at the University of Queensland, School of Dentistry. He is a registered Dental Specialist in Prosthodontics and has been with BOH Dental since 1988. 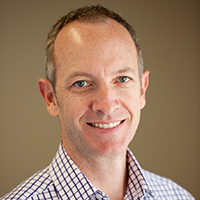 Dr Greer is a member of the Australian Dental Association, Australian Prosthodontic Society, Australian and New Zealand Academy of Prosthodontics and the Southside Dental Study Group. He has a keen interest in dental aesthetics, ceramic veneers and dental implants and has always been involved with continuing education in dentistry. Dr Greer has given numerous lectures and didactic presentations and attends postgraduate training courses on a regular basis. Dr Greer is married with two daughters. His leisure pursuits include sailing, windsurfing, surfing, woodwork, photography and fishing. 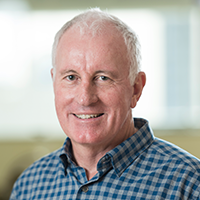 Dr Tuffley graduated from the University of Queensland in 1984 with a Bachelor of Dental Science, and has worked abroad in London. Following graduation, he worked in Yeppoon, North Queensland, for three years where he refined his dental skills and enjoyed the North Queensland lifestyle. Dr Tuffley then worked for a year in London before returning to Brisbane in 1990 to join BOH Dental. On return, Dr Tuffley has been a clinical demonstrator at the University of Queensland Dental School. Dr Tuffley enjoys treating families and all aspects of modern dentistry. He has gained skills and knowledge in preventive dentistry, cosmetic dentistry, Invisalign Orthodontics and root canal therapy. He is very understanding of patient’s needs and fears at the dentist and enjoys converting dental phobics into dental fans. Modern dentistry has a wide range of restorative options, such as CEREC, e-Max, composite resins and porcelain restorations. Dr Tuffley uses these to provide modern dental restorations, like crowns, bridges & veneers, and to revive existing restorations (i.e. replacing amalgam fillings with white fillings). Dr Tuffley is a keen member of specialist organizations and study groups and enjoys attending conferences, study groups and seminars which foster continuing education. He has gained an interest in biomimetic dental principles, where restorations are performed with minimal intervention to tooth structure. The aim of these principles is to preserve tooth form, function and aesthetics in a holistic way by mimicking nature. Dr Tuffley is married with three young children. He also enjoys going to the beach and pursuing his interests in sailing, surfing, fishing and gardening. Stuart completed his Bachelor of Dental Science at the University of Queensland in 1990. Following graduation, Dr Garraway spent time as the traveling dentist throughout the Torres Strait and was based on Thursday Island. He then worked in Western Queensland before returning to Brisbane to join BOH Dental in 1994. Dr Garraway takes an active interest in continuing education and has been a teacher in clinical restorative dentistry at the University of Queensland, School of Dentistry. Stuart served as the Secretary/Treasurer and the President of the Prosthodontic Society in Queensland for a six year period. 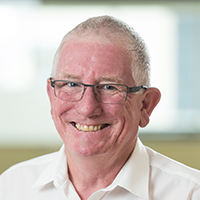 He has also served on many Australian Dental Association committees and as a council member and an Executive Officer of the Queensland Branch of the Australian Dental Association. Stuart maintains active membership in the Pogonion Dental Study Group, the Prosthodontic Society, the Academy of Sports Dentistry, and the International Association of Dental Trauma. Stuart’s interest in sport has led to over 20 years involvement with the Queensland Reds and the Australian Wallabies as their on-field dental professional. As a result, he maintains a strong interest in custom mouthguard design and construction. Dr Garraway has a keen interest in all fields of dentistry, particularly ceramic restorations, CADCAM (cerec) restorations, prosthodontics, endodontics, and trauma. Dr Garraway has three children and enjoys a wide range of activities including surfing, fishing, cooking and playing bass guitar in his band. Dr Davies completed his Bachelor of Dental Science at the University of Queensland, graduating in 1997 with Honours. Dr Davies joined the BOH team following his graduation. During his time at BOH Dental, Dr Davies has enjoyed applying himself to all aspects of dentistry, with a particular interest in cosmetic dentistry, crown and bridgework, implant dentistry, root canal therapy and CAD(Computer Aided Design)/CAM (Computer Aided Manufacture) dental techniques including ceramic (Cerec) restoration. Of particular interest to Dr Davies, are the principles of Biomimetics in dentistry. Biomimetics is based on the principle of returning the teeth to their natural form and function, and preserving the health of the tooth through the most conservative and biologically sound approach. Emulating nature and producing beautifully esthetic results is achieved by using the most advanced, scientifically researched techniques and materials. Dr Davies continues to be well informed of new developments in dentistry by regularly attending postgraduate courses and enjoying membership in the Australian Society of Endodontology and Australian Prosthodontic Society. He currently serves on the committee of the Society of Endodontology. Dr Davies has developed an interest in the treatment of snoring and sleep apnoea and has sought further education in this area. He is a member of the Australian Sleep Association. Dr Davies is a martial arts and yoga enthusiast. He enjoys surfing, fishing, and going to the beach with his wife, and three children. Dr Robinson graduated as the most distinguished student of his year from the University of Leeds (UK) in 1998. He worked in general dental practice and in several hospitals in the Yorkshire region while completing a Membership in Dental Surgery from the Royal College of Surgeons (Ireland). In 2004 he entered specialist training in Restorative Dentistry at Leeds Dental Institute and underwent a 5 year training programme in multi-disciplinary Restorative Dentistry. On completion Dr Robinson registered with the General Dental Council (UK) as a specialist in Endodontics, Prosthodontics and Periodontology and worked as a Consultant in Restorative Dentistry before emigrating to Australia in 2010. Dr Robinson has a particular interest in the dental rehabilitation of patients suffering from Head and Neck cancers, trauma and developmental disorders. 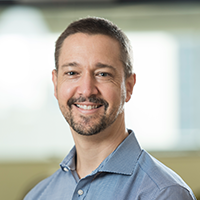 He combines his practice at BOH with membership of the Royal Brisbane Head and Neck cancer team and a part time senior lecturer position at the University of Queensland. 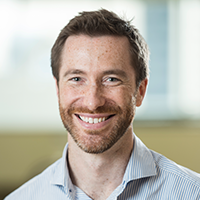 Dr Robinson is a member of the Australian Prosthodontic Society, the Australian Osseointegration Society, the British Prosthodontic Society and a local study group for recent graduates. He has been involved with the delivery of numerous postgraduate courses and lectures both in the UK and Australia and has published a number of articles on advanced restorative techniques. Dr Robinson and his wife Natalie (originally from NSW) have three young children. He is a passionate Ulster and Ireland rugby fan. Dr Pu graduated from the University of Queensland with a Bachelor of Dental Science (Honours) in 2017. 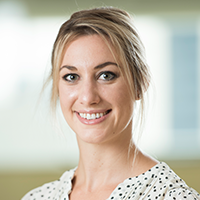 Following her graduation, Angela has worked in Brisbane and has built a strong rapport with her patients. 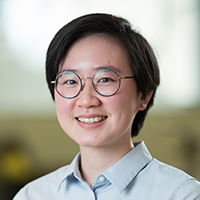 Dr Pu has conversational fluency in Chinese Mandarin, as well as English, and her language and personal skills help underpin her patient-centred approach to dentistry. Angela is known for her volunteer work, and has helped promote positive changes to oral health via her work with organizations such as the NAIDOC Week Oral Health Outreach, and New Farm Homeless Screening. Dr Pu often coordinates complex treatment and liaises with specialists to reach the desired health outcomes for her patients. She is experienced in helping socio-economically and physically disadvantaged patients access dental care, and fostering an environment where her patients can improve their oral health. Angela loves to treat families, and uses early education to set up strong foundations for continued oral health in children. Dr Pu has a professional interest in all aspects of dentistry, including restorative dentistry, preventative dentistry, paediatric dentistry and endodontics. She has knowledge of dental implants, and the has a special interest in fibre-reinforced composites used in modern dentistry. During her study, Angela participated in placements throughout South East Queensland, including six months at Toowoomba Oral Health Clinic. She is a current member of the Australian Dental Association, and the RGS Study Club. Dr Pu is interested in preventative & conservative dentistry, which aims to preserve or retain natural function via dental treatment. This interest extends to biomimetics and fixed Prosthodontics. Angela is an animal lover (with one cat) that enjoys spending her time with family and going for bike rides. She is passionate about food and travel – and loves to experience other cultures and try new cuisines. Alice graduated from the University of Queensland with a Bachelor of Oral Health in 2008. As a Dental Hygienist and Dental Therapist Alice’s dual qualifications allow her to not only provide exceptional preventive oral health care for her patients, but Alice can also perform routine dentistry on school aged children. She enjoys building relationships and creating positive experiences for each patient. Alice is active member of the Dental Hygiene Association. To provide her unique care and treatment, Alice regularly attends continuing education courses in Australia and abroad enabling her to stay updated with current research and treatment. In her spare time Alice enjoys spending quality time with her friends and family and heading to the beach whenever she can. 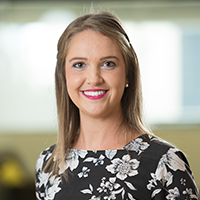 Katherine completed her Bachelor of Oral Health at Central Queensland University in 2015. As an Oral Health Therapist, Katherine is trained as both a dental hygienist and dental therapist. She provides preventative dental care for her patients to help them achieve and maintain optimal oral health, as well as providing general dental treatment for children. Katherine enjoys working with patients to provide positive dental experiences and achieve lasting good oral hygiene habits. Katherine maintains and continues her education by participating in study groups with other dental professionals. She has attended numerous courses and conferences across Queensland and is an active member of Australian Dental and Oral Health Therapists Association. She has undertaken volunteer work in Vanuatu, where she provided dental education, oral health promotion and various treatments to residents of the Norsup community. Katherine enjoys being outdoors, especially at the beach or near the water. She keeps active by taking aerial silks classes, rock-climbing and going to the gym. Lyndon has been the Laboratory Manager, and Senior Dental Ceramist, at Studio12 for over 8 years. A well-known and respected dental technician, Lyndon’s career has spanned thirty years of laboratory work across some of Brisbane’s best dental labs, and he specializes in creating crowns, bridges & dental implants. With a fine eye for detail, Lyndon is passionate about creating quality dental work, and his team is responsible for providing high aesthetics and function across a wide-range dental ceramics, and dental implant systems. As a Dental Technician, Lyndon believes that his patients are relying on him, and the greatest compliment is knowing that Studio 12’s dental work looks and feels like it has always been a part of their smile. Lyndon is a perfectionist who will strive to make every crown, bridge or implant mimic the natural dentition of his patients. Lyndon has helped build and train our team of in-house technicians and hopes to pass on the skills and techniques he has learnt throughout his career. The quality of work provided by his laboratory team is reflected in our patient’s smiles, and the contemporary laboratory skills that compliment the dental care we are known for at BOH Dental. Lyndon loves to ride his bike, and if you can’t find him in the lab there’s a good chance he’s on the road. A family man at heart, Lyndon also loves a boutique beer and brewing his own.